When the accolades Dubai boasts of includes the fastest car in the world in its police force, you know you’re dealing with indulgence on a different level altogether. There is no other region on the planet where a tourist can pose with a luxury police car for a selfie. 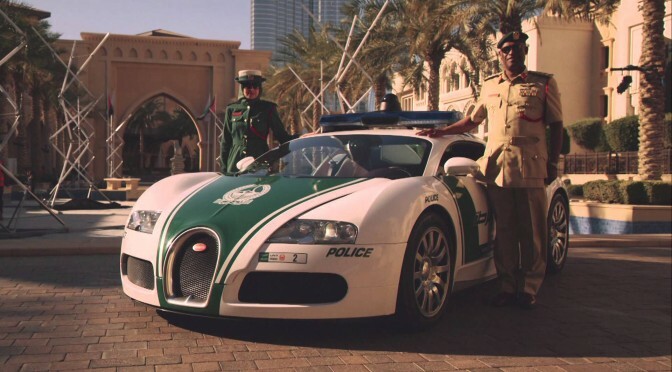 Yes, UAE is not just home to the tallest building or the busiest international airport, it also the place where the law enforcement uses Bugatti Veyrons (plus Ferrari FF and Lamborghini Aventador). Dubai is genuinely writing its own story, and it is doing it exceptionally well. Experience the emirate as it is meant to be with thousand-dollar cupcakes on your plate and heavily marked-down luxury shoes on your feet. Dubai is a petri dish that represents the entire world. With the natives making up only a fraction of the population, the city is a stirring alchemy of profoundly diverse lifestyles, cuisines and people. And the perfect time to enjoy the melting pot of festivities is December and January. And the precise place to mingle in the celebrations is the Global Village. The entertainment destination offers an experience like none other. In one place, you get to celebrate 75 different cultures. 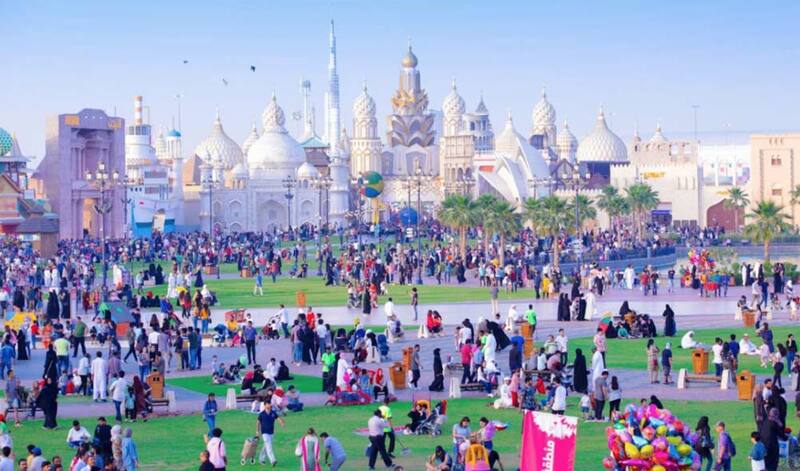 Shopping, crazy rides, cultural immersion are part and parcel of the spectacular Global Village. 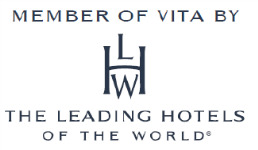 If you must do one thing while here though, it is to sate your appetite with the variety of cuisines available. There are few places in the world where you can try diametrically opposite cuisines within a few hundred metres of each other. Someone rightly said that shopping is not a chore in Dubai, it is a leisure activity. Malls are not a mere collection of stores; they are a collection of excesses. It is sacrilegious to visit and not go shopping. 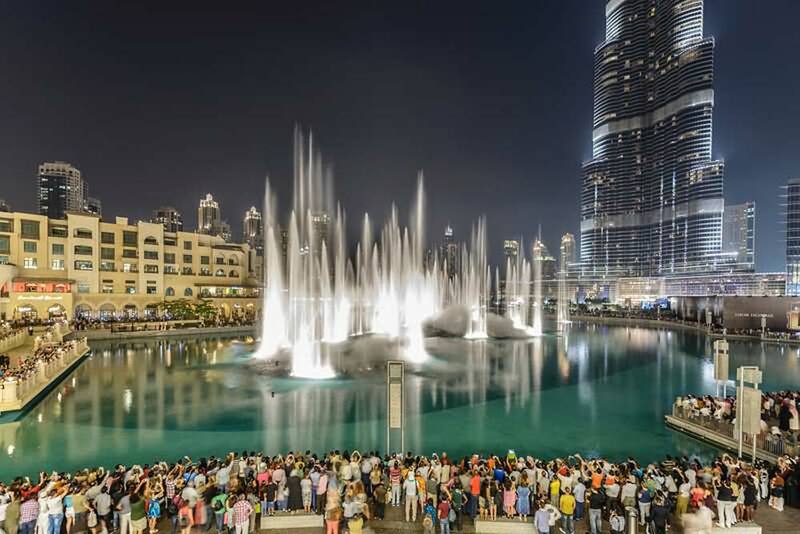 From skiing inside the Mall of Emirates to the dancing fountain show at the Dubai Mall, pick any of the offerings and quench your heart’s thirst for luxury and decadence. There are two things one must absolutely see while in Dubai – the Madinat Jumeirah with its meticulously maintained grounds of soaring palms and billowing bougainvillaea and the 5.4 million square feet of Dubai Mall that demand self-indulgence. Our pick would be cruising the 1200 stores of Dubai Mall in a buggy. Anything you covet will be there. Did we mention superlatives in Dubai are as common as cakes at a birthday party? Well, the one thing no consummate traveller can miss is the world’s biggest shopping festival – DSF. A celebration that will begin on 26th Dec this year and will last for over a month, it is where you will truly understand the adage ‘shop-till-you-drop’. A paradise for every shopaholic, this shopping extravaganza offers unsurpassed deals on every brand imaginable. If there’s that Hermes bag you’ve had your heart set on or a pair of Manolo heels, rest assured that DSF will have the sweetest deals for you. Sadly, or excitingly (depends on how you see it), no single thing can be checked off your list at the shopping festival. You need to do it all. 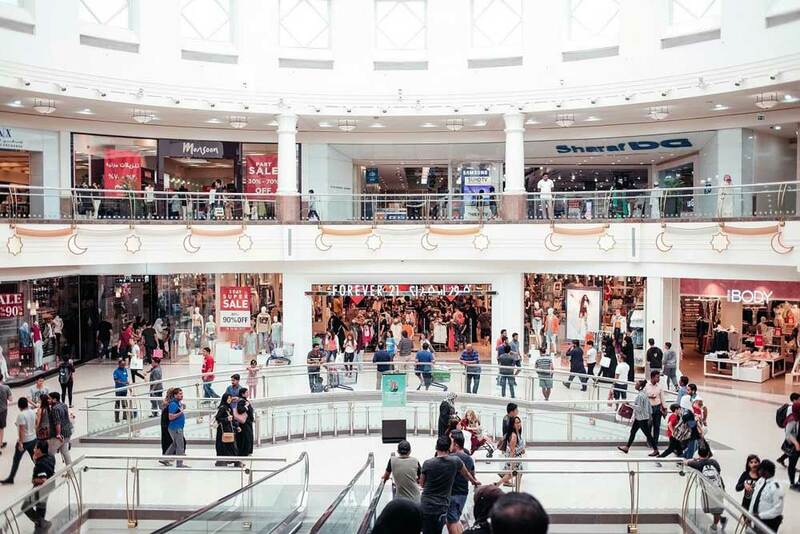 From participating in live raffles to enjoying concerts, from being mesmerised by fireworks to looking for bargains on haute couture, the tax-free shopping spree is simply an unmissable activity! We know that Dubai is much more than the glitter, it has a side full of hidden cultural troves. It is safe to say then, that Dubai is not just a tourist spot, it is an experience – one that is heightened during the festive season of Christmas. So let your hair down, find your most comfortable pair of shoes and set forth to conquer Dubai! And to add to all that, this time of the year has the best weather in the region. Days are full of sunshine sparkling across bright, blue skies and the nights are cool with a gentle breeze. Take advantage of the rare and the beautiful, and allow Indiana to plan you a lavish trip to Dubai.